Red Lobster is a dining restaurant series that is operated by Darden Restaurants, Inc. It was co-founded by entrepreneurs Charley Woodsby and Bill Darde in 1968 and it's headquarter is located in Orlando, Florida. 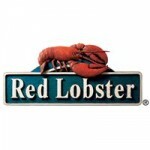 As the name Red Lobster implies, the restaurant is famous for various sea cuisine items. Food items offered by this restaurant are biscuits, wood-fire grill, fresh fish and beverages as well. This restaurant is even famous for selling its seafood items via online store. As per 2011 report, this restaurant has 698 locations all over the world. Chairman and CEO of Darden is Mr. Clarence Otis, Jr. There are currently 2 consumer reviews about Red Lobster available. Share your review. Please take a note that you are about to post a public review about Red Lobster corporate office on CorporateOffice.com. This review will be public, so please do not post any of your personal information on this website. If you would like to contact the corporate offices of Red Lobster, please use their contact information such as their phone number, website, and address listed above to contact them. However, sometimes staff from Red Lobster headquarters do read the reviews on this website.